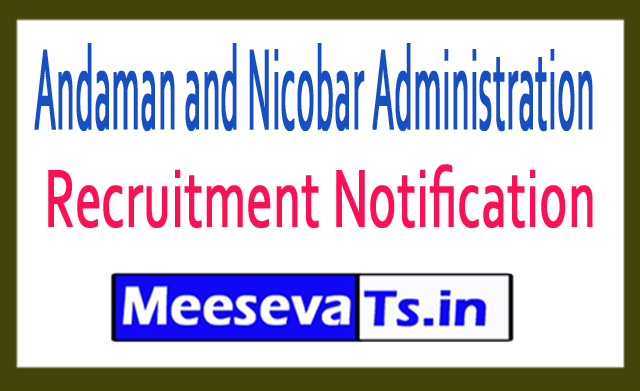 Electricity Department, Andaman and Nicobar Recruitment 2018: Electricity Department, Andaman and Nicobar has issued official notification for 189 vacancies of the workers (Group 'C'). Eligible and Skilled Candidates, Power Department, Andaman and Nicobar Jobs 2018 are able to send applications online through the online official website electricity.on.nic.in and through online mode. Interested candidates can apply online for the Electricity Department, Andaman and Nicobar Laborers (Group 'C') vacancy 2018 till the end of 12-11-2018. Candidates can download official notifications from the official website before applying for this vacancy. Eligibility details like eligibility details, such as education qualification, age limit, selection process, application fee and how to apply, important links, courses, admission papers, results, past papers, to obtain more information about the electricity department, Andaman and Nicobar recruitment. As shown below. Selection will be done in accordance with written examination and physical endurance test. For the workers (group 'C') positions look around for "Electricity Department, Andaman and Nicobar Recruitment 2018". Andaman and Nicobar Administration Agriculture Sector Assistant / Soil Conservation Area Recruitment Notification 2018: 50 Application for Agriculture Sector Assistant. And Soil Conservation Area Assistant Vacancies @ andaman.gov.in. The Andaman & Nicobar Administration is going to recruit the Agriculture Sector Assistant. And Soil Conservation Area through A and N Administration Agriculture Assistant / Soil Conservation Area Assistant Recruitment 2018. Interested and qualified candidates who wish to apply this recruitment, can apply offline on their official website andaman.gov.in. Full details of this recruitment are available on its official website and meesevats.in also provides complete information about this notification. Educational qualification, application process instructions are outlined below for implementation. Interested and qualified candidates can download from the website andaman.gov.in in prescribed form and send their application on or before 25.10.2018. The prescribed format with photocopy of all relevant documents should be submitted to the address specified below.